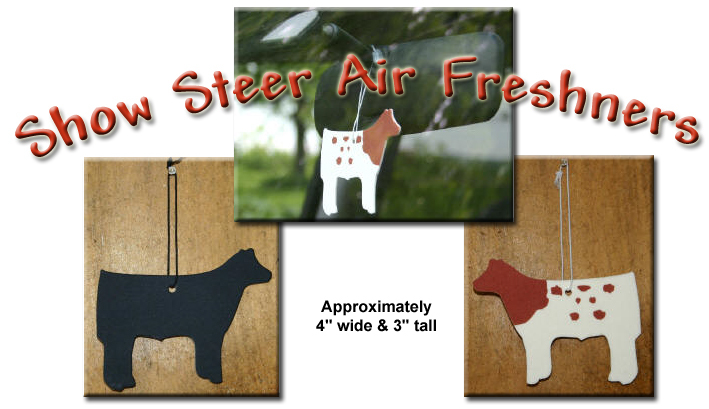 A stylish alternative to the old tree-shaped air freshener! Sporty fresh scent to make your vehicle smell fresh and clean. Available in solid black or red neck roan designs. ready to hang. from your rear view mirror, in school lockers, bedrooms, etc. They also work great as Christmas ornaments. Purchase 5 or more and they're shipped for free! Steer design available in round, large heart, small heart & square shape. 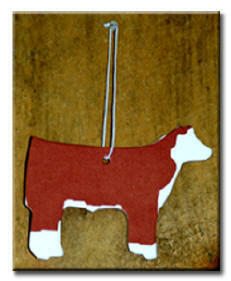 Cow/Calf design available in square only. All pendants are approximately 1" in diameter except for small heart which is approximately 3/4". The necklaces are silver and are made of Rhodium.